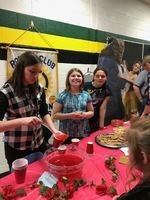 Interact students helped serve cookies and punch at the Father/Daughter dance held Saturday, March 30th at the high school cafeteria. The dance was sponsored by the Abingdon Rotary Club. 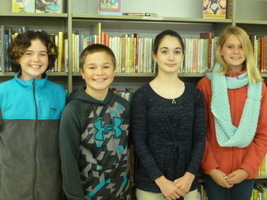 Officers for the 6th Grade Interact Club were elected at the March meeting. 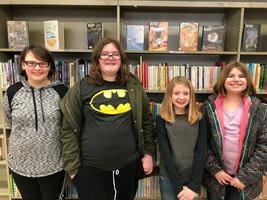 Elected were President Diann Collins-Barton, Vice-President Clara Vick, Secretary Emma Gunther and Treasurer Lilya Rakestraw. 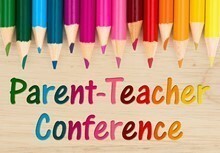 5 Essentials Survey for Parents It is that time again! 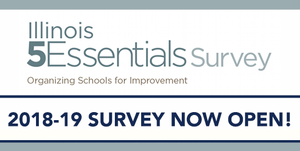 The Illinois 5 Essentials Survey for parents is now open. The survey will be open until February 15. You can access the survey here: https://illinois.5-essentials.... Your input is a appreciated! 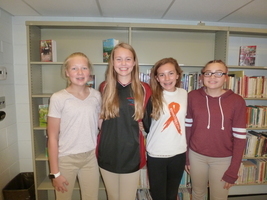 8th Grade Officers for the 2018-19 - President Aeryn Mahr, Vice President Sydney Emerick, Secretary Lucy Shreves and Treasurer Nevaeh Moore. The Library is sponsoring the annual Scholastic Buy-One-Get-One Free Book Fair the week of April 30th. 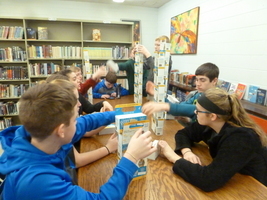 Students may view and buy books during their Library class and after school until 3:30. 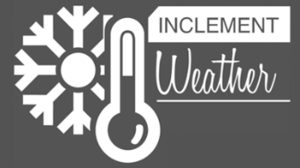 If you have any questions, please call Mrs. M&M at the school 309-465-3851. 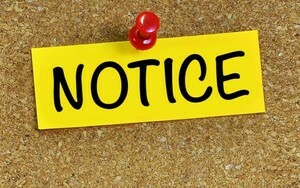 Reminder: sales tax is charged on all purchases. 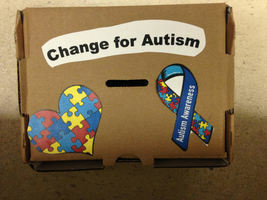 The A-Town Middle School Interact Club is again sponsoring a Change for Autism fundraiser. The fundraiser runs from April 9th - April 27th. All funds collected will be sent to the Central Illinois Autism Association in Peoria which serves the families in our district. 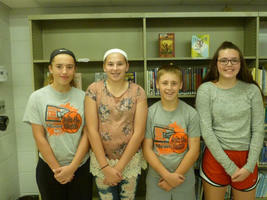 The top collection class in the Elementary and Middle School will earn an ice cream party. 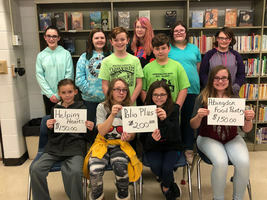 At the January Interact meeting the 8th Grade Interact members began assembling the collection boxes for their Pennies for Patients fundraiser project. This fundraiser will begin February 5th and end February 23rd. 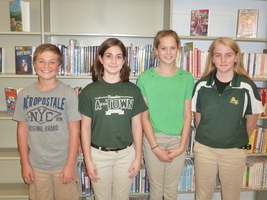 The 7th Grade Members of the A-Town Middle School Interact Club elected the following officers for the 2017-18 school year: President Aeryn Mahr, Vice-President Zander Frakes, Secretary Lucy Shreves and Treasurer Gracey Chatterton. AAMS student participated in the Homecoming Parade. 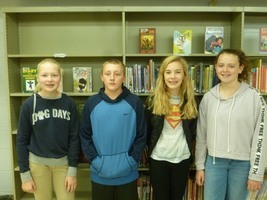 Pictured are the students involved in the Interact Club.